Welcome to Precious Smile Dental, located in Commerce Township. Our goals are to help you to maintain a healthy and attractive smile by providing the highest quality dentistry possible. We provide a friendly and relaxed environment to help ease your fears and make your visits as comfortable as possible. Our doctors and staff care about you and your family. We work as a team to provide personalized treatment with outstanding results. 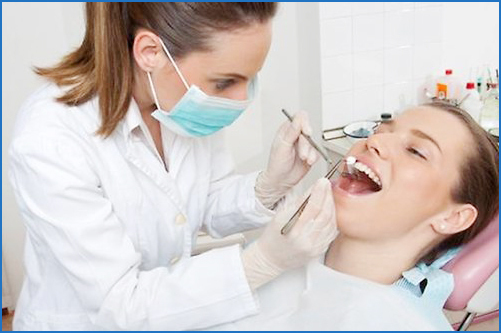 Our goal is to provide the highest quality dentistry and to create beautiful healthy smiles for the whole family. The doctors are highly trained in all areas of dentistry including preventative and general dentistry, root canal treatment, periodontics (gum disease), complete dentures, partial dentures, crowns, bridges and cosmetic dentistry. Our pediatric dentist provides tooth colored fillings, pulpotomy (baby root canal), stainless steel crowns, tooth extractions and space maintainers. She offers nitrous(laughing gas) and conscious sedation to help your child relax. All x-rays taken in our office are digital. This gives is the highest quality x-ray and reduces amount of radiation exposure. Intra oral cameras are used to help diagnose and inform our patients of their dental needs. Our doctors and hygienist are trained to use the Biolase laser to eliminate periodontal infections and solve other gum issues. We love to see you smile…veneers, invisalign and in office bleaching are some of the services provided to help you feel happy and confident with your smile. Your scheduled appointment time has been reserved for you. We request 24 hour notice if you need to change your appointment. We realize that unplanned situations arise, we will try to accommodate you, after the second missed appointment a deposit might be required to schedule your next appointment. We participate with most private and ppo insurance companies. We do all that we can to help you utilize your insurance benefits. We are happy to verify your insurance benefits before any treatment is completed. We cannot guarantee payment from your insurance company, but will help in any way possible to insure all claims are paid. Our policy is to have all patients informed of their financial cost before treatment is completed. Whether you are being seen for an emergency visit or had a complete exam you will be presented with a treatment plan. The treatment plan will itemize the services needed, an estimate of what your insurance will pay, and an estimated patient balance. In addition we offer a 10% Senior discount to our patients 62 years and older, and special pricing with no insurance if balances are paid in full prior to treatment. Please ask our office manager for the details.